We are a family owned business registered with the Motor Trade Association. All our work carries a 100% satisfaction guarantee and a five year warranty on labour. The only safe way to be sure to avoid a ticket for no warrant is to have one! And safety checks ensure your vehicle is safe for you, your passengers and everyone else on the road with you. Whether you’re a local or someone from further afield looking for great service and competitive pricing, My Auto tech are the one-stop-shop for all your vehicle service and repairs. You guys are super quick with your work and always let me know what needs to be done, and how much it’s going to cost, that’s a big help! My Auto Tech were great to deal with, very professional, helpful and quick – can always count on them to get the job done! Love you guys. The guys at My Auto Tech are always very friendly, and can always be trusted to do an excellent job on my car. Being open six days a week is a massive help to me as I work five days a week and don’t have time to take my car in during weekdays. Extremely helpful, excellent job, thanks heaps. Confused about having your car repaired? Repair costs seem too high? Not sure your last repair was really necessary? Because today’s cars are so expensive and difficult to understand it’s more important than ever to choose the right automotive mechanic repair shop. How do you choose the right one? Can you trust them with one of your most valuable possessions? How can you protect yourself from unnecessary or improper car repairs? Ask around: Family, friends, co-workers may be able to recommend a reputable automotive mechanic shop. Don’t shop price alone: It’s important to remember that you are not just paying for the price of parts and the time it takes to install them, but for the professionalism and expertise of the technicians. Insist on a reasonable warranty: When your car was new it had a warranty for a few years and many thousands of miles, shouldn’t a quality repair be expected to last longer than a few months? Make sure the automotive mechanic shop is insured: Will you be taken care of if your car is damaged? Computer scan tools: The best automotive mechanic shops now use scanning equipment to access past and recent fault codes on your vehicle’s computer, saving time accurately pin-pointing issues, reducing your costs. Why choose My Auto Tech as your mechanic in Manurewa? We are honest - We will always give the right advice first time, every time. Family business - We care for our customers on a personal level. 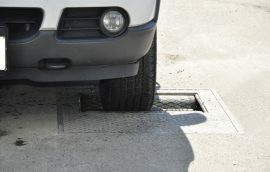 No hidden costs - We repair only what is necessary and advise you of any problems we come across, without pressuring you. True one stop shop - we do all your vehicle requirements, from automotive mechanical, auto electrical repairs, tyres, and panel and pain etc. All technicians are certified - To make sure you get the highest quality repairs possible and the quickest. Loan cars available - So you will always have transportation while we are fixing your car. Latest scan tools and equipment - Jobs takes less time to diagnose, to save our customers money spent on labor. Convenience - We are easy to find on the Great South Road of Manurewa and have plenty of parking. More than 11 years experience - keeping South Auckland vehicles safe and reliable on the road. No one looks forward to the time when their vehicle needs attention. At My Auto Tech we understand and we do everything we can to make your experience a pleasant one. Most automotive mechanical repairs and service are performed within the same day. Many times the repair or service can be completed while you wait and if it needs to take a bit longer, we have loan cars to get you back on the road. We've been providing the right solutions since 1996, one customer at a time. Our team of professionals understand cars and they understand the people who drive them. We use advanced technology and offer quality products – all of which add up to a complete car care experience. Providing the best service for you. 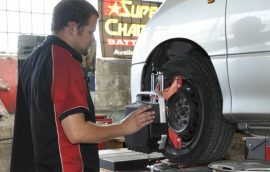 Did you know that we carry a complete selection of tyres and provide complete tyre services including wheel alignment? We also provide auto-electrical and air conditioning services and much more. We are a true one stop shop. Service and oil changes are not only critical to the life of your car but also your safety on the road, bring in your car every 15,000 kms for the fastest and most efficient periodic maintenance. We use only the best oil including the leading synthetic brands. Complete automotive mechanical service and repair on all vehicles models, diesel or petrol, small and large. For more information about us or the services we provide feel free to browse our website or contact us directly.